A painting class at a winery is a wonderful way to spend the afternoon. Join Dawning’s Art at Arcane Cellars Winery on July 13th to celebrate summer in style. 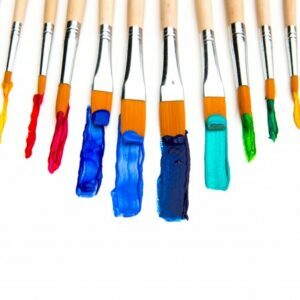 Enjoy an afternoon of fun painting and great wine. Step by step painting instruction provided. No experience needed. Bring a friend to share a bottle of wine. Take home your own masterpiece. Must be 21+ to drink alcohol and minors (12 and older) are welcome. Class starts promptly at 1pm. Ticket price includes all materials, instruction, aprons, 16×20 take-home canvas and a glass of Arcane Cellars’ Wheatland White! About the location: Arcane has grown from its initial production of Estate wines in 2007 into a burgeoning winery that today makes the largest number of varietal wines in the Willamette Valley. Wheatland Estate vineyards grow nine varietals on their 30 acre Yamhill County site bordering the Willamette River. Arcane Cellars also sources additional warm grape varietals from select vineyards in southern Oregon and eastern Washington.